We took part in the 9th Annual Treasure Coast Business Summit on Thursday, May 25th at the Port St.Lucie Civic Center. It was well attended by businesses from Vero Beach to West Palm Beach and we met a ton of great people. Our booth had the requisite banners and business cards, plus a video monitor playing several commercials, training and marketing videos that we have produced. This year, we also registered business owners for a free web video to be filmed in our St. Lucie West studio. 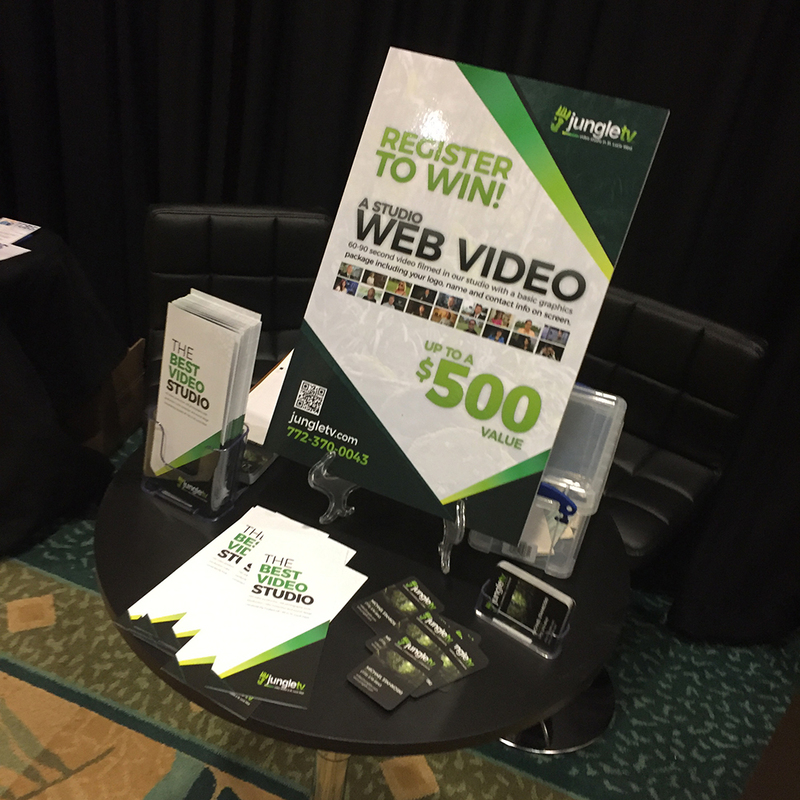 The winner of the web video is realtor Danny Olibrice – Congrats Danny – We’ll give you a call today with details.